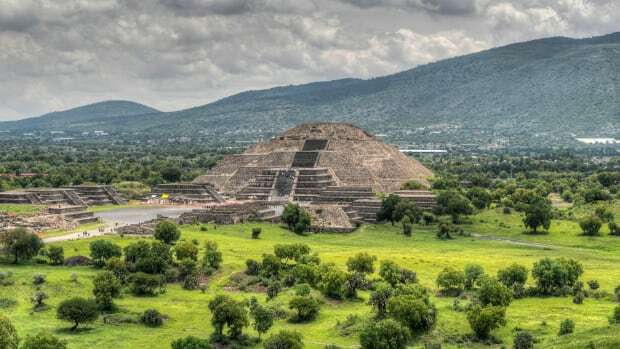 Archaeologists in Mexico are exploring an underground tunnel, sealed for nearly 2,000 years, in the hopes of unlocking the mysteries of the ancient city of Teotihuacán. By the 1300s, when the Aztecs are believed to have found the ruins of Teotihuacán, the ancient city had been abandoned for some six centuries. The Aztecs gave the city its name (pronounced tay-oh-tee-wah-kahn), which can be translated roughly as “The City of the Gods” in Nahuatl, the Aztec language. Though Teotihuacán was founded as early as 400 B.C., the impressive city now familiar to archaeologists didn’t begin to emerge until around A.D. 100. It was built on a north-south axis, with a wide boulevard known as Avenue of the Dead running between the 147-foot-high Temple of the Moon and a large square courtyard known as the Ciudadela (“citadel”) to the south. At the heart of the city looms the massive 213-foot-high Temple of the Sun. Between the height of Teotihuacán’s power and influence in A.D. 400 and its abandonment, the city appears to have burned or looted several times, possibly as the result of a civil war or invasion by a foreign army. 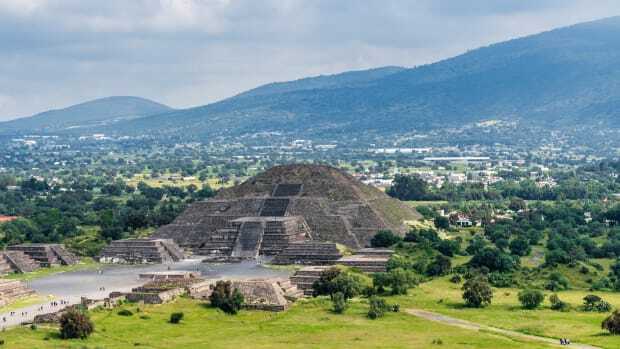 By A.D. 750, the surviving Teotihuacanos likely joined neighboring cultures, or followed trade routes to their ancestral homelands, leaving their great city behind. Some 1,200 years later, thanks to a lack of written records, historians don’t have definitive answers to a lot of questions about Teotihuacán–including who founded the city, how it was governed, what language its inhabitants spoke or what religion they practiced. 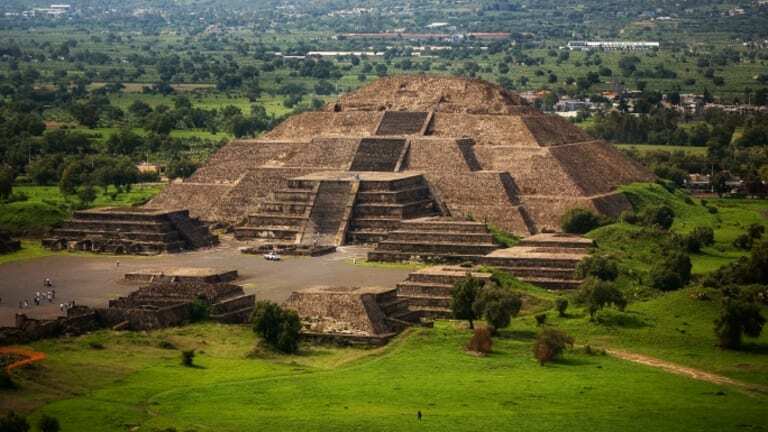 Now, however, archaeologists who have devoted the last 13 years to exploring a long-secret tunnel underneath one of Teotihuacán’s pyramids are in the process of discovering some answers. As reported in Smithsonian Magazine, a heavy rainstorm in 2003 opened a large sinkhole at the foot of the pyramid known as the Temple of the Plumed Serpent, located inside the Ciudadela. When the archaeologist Sergio Goméz, of Mexico’s National Institute of Anthropology and History, lowered himself into the darkness, he found himself standing in what appeared to be a manmade tunnel. Since then, Goméz and his team of archaeologists and workers have been excavating the tunnel, which runs some 330 feet from the Ciudadela to the center of the temple. 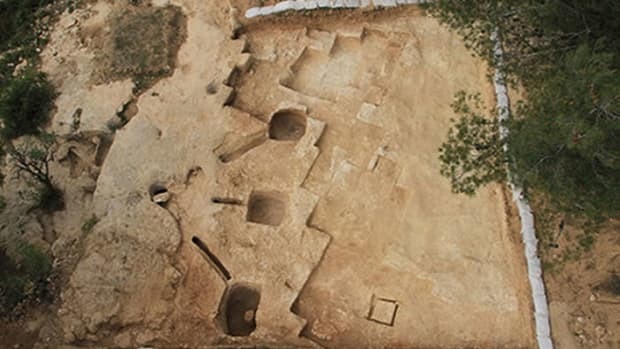 They found that the original entrance, located a few yards from the sinkhole, was apparently closed off with boulders some 1,800 years ago, meaning whatever was inside had remained untouched since. The team moved slowly and carefully through the tunnel, removing some 1,000 tons of earth as they made their way. By late 2015, they had recovered some 75,000 artifacts, ranging from seashells, pottery and jewelry to animal bones and even fragments of human skin. 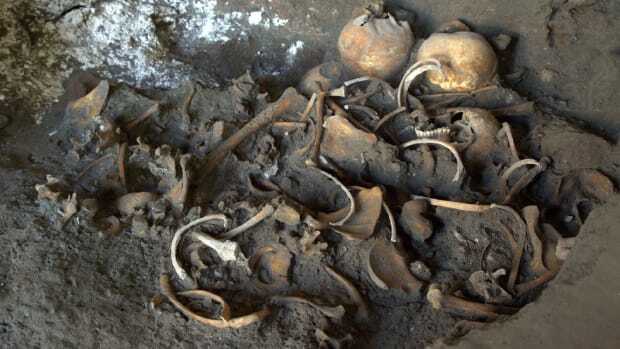 When the archaeologists discovered that the tunnel ended in a large cross-shaped chamber containing piles of jewelry and other statues, many hoped they were on the verge of discovering the treasure-laden burial tomb of some as-yet-unknown Teotihuacano ruler. Inside the chamber they found still more treasures, including necklaces, jars of amber and two finely carved black stone statues, likely figures of worship for the Teotihuacanos. 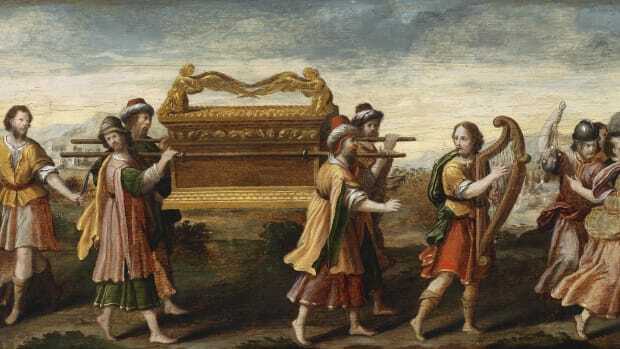 Though Goméz and his team have yet to find an actual tomb, he believes the tunnel and its various chambers, with their wealth of carefully placed artifacts, may represent a kind of symbolic tomb. 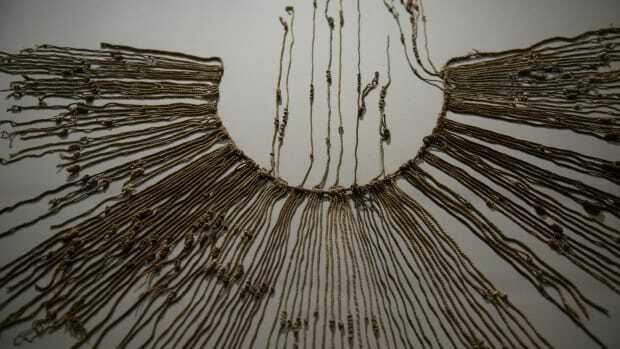 As for the artifacts already uncovered, Goméz told Smithsonian: “You could spend a whole career evaluating the contents.” Three more chambers still remain to be excavated, and the archaeologists are working painstakingly–with toothbrushes–to ensure they don’t damage what lies beneath the surface. Whatever it is, it may just be the key to unlocking the secrets of Teotihuacán.